El Best Western Inn of Jasper se encuentra en el centro de Jasper. Venga y disfrute de las mejores atracciónes turísticas cerca de nuestro hotel. Precios bajos garantizados y ofertas exclusivas. El Lago Sam Rayburn está situado a solamente unos minutos de nuestro hotel de Jasper, un magnífico enclave para la pesca, los paseos en barco, la natación y los recorridos por la naturaleza. Los paseos en barco son un auténtico modo de vida en este lugar, motivo por el que nuestro hotel de Jasper cuenta con zonas de amarre gratuitas para los aficionados a la pesca y estacionamiento para camiones y caravanas. Estacione su remolque con barco en el amplio espacio de estacionamiento de nuestro hotel. Desde contratistas hasta aficionados a la pesca, nuestro hotel es considerado como un segundo hogar por una gran variedad de viajeros. No obstante, no tendrá que desplazarse muy lejos para disfrutar de un fantástico baño. En nuestras mismas instalaciones podrá acceder a una instalación combinada de piscina y bañera de hidromasaje en la que escapar del caluroso verano de Texas. Con un cenador al aire libre y una zona para barbacoas, podrá pasar las tardes disfrutando de carnes a la parrilla y nadando en la piscina para su mayor deleite. No obstante, es posible que desee visitar el torneo de pesca Big Bass Splash, un vibrante evento anual con gran asistencia de público. Este hotel ofrece tarifas especiales para la tercera edad para todos aquellos que deseen disfrutar de unas vacaciones verdaderamente inolvidables. Nuestro hotel ofrece un cenador y una zona para barbacoas, piscina, bañera de hidromasaje y una nueva y flamante estación de lavado de motocicletas con dos plazas con trapos proporcionados por el hotel de manera gratuita. También servimos un desayuno caliente gratuito tipo bufé para que pueda comenzar su día de la mejor forma. Disfrute de sus especialidades preferidas cada mañana con gofres calientes, fruta fresca, una selección de cereal y yogures y un completo surtido de bebidas con café (normal o descafeinado), té caliente (pekoe naranja o verde), jugos y leche. Si se encuentra aquí en viaje de negocios, podrá encontrar una lujosa ropa de cama y unas amplias habitaciones desde las que encargarse de sus negocios con toda comodidad. Numerosas empresas de fuera de la ciudad han convertido nuestro hotel en su segundo hogar. Disfrute de la mejor hospitalidad sureña tanto si tiene previsto asistir a una reunión como disfrutar de una relajante escapada. Realice su reserva en línea hoy mismo en el Best Western® Inn of Jasper. "A great stay in jasper"
Stopped in here for one night.. not for sure what all the negative reviews are about on this BW.. The girl at the front desk who checked me in was super nice... prob one of the nicer people I've met at a best western when it comes to politeness and courtesy... Will stay here again when my travels bring me through Jasper... no complaints... every thing was clean, tidy and in order..
"Friendly staff with clean rooms and a good value"
"Pet Freindly Place in Jasper"
We travel cross country several times a year. We chose a route through Jasper for our West to East travel to avoid the crazy traffic in San antonio and Houston and were completely happy about our choice. BW Jasper has several pet areas and space for our 2 year old Labrador to stretch after a day's car travel.Room was well set up for pets with ample space for our large crate and appropriate floor coverings.Parking lot was huge and provided space for our SUV and even truck-trialer and boat parking pull through. This hotel is very nice, an older outside quartered hotel that is VERY clean. the staff was very nice and accommodating. Pet friendly , motorcycle wash area, VERY close to local restaurants. walmart is only 2 miles up the street. "Average but free mid-week dinner moves to good"
The people were very friendly, bed comfortable, room decent, however the plus for me was a free dinner available to guest on Wednesday night. They made chilli and it was good. I'm not sure if it was because it was free or I was hungry, whatever it was I had three bowls. Had a great experience and would recommend this hotel anytime. Breakfast was more that the most important meal, it was a treat. Staff were overly helpful. Manager helped at checkin and made sure our medical needs were accomodated. kpople, On behalf of my entire team of Best Western Inn Of Jasper Hotel, we would like to thank you for your wonderful review. It is great to hear from you and I am so glad that you enjoyed our staff courtesy and have taken the time to recognize the hospitality and care that we aim to provide for each and every guest. We are overjoyed to hear that you had a great time with us and we are looking forward to your next visit! 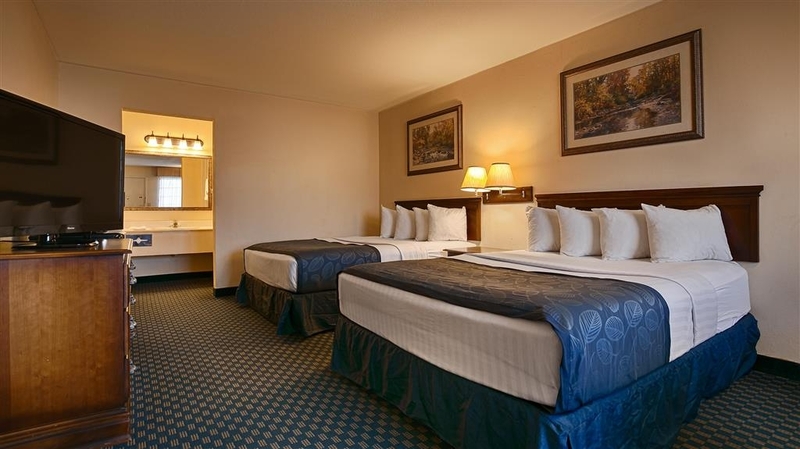 barbiebusby1, Thank you so much for your compliments, rating and review of our high housekeeping and hospitality standards of Best Western Inn Of Jasper Hotel. We are delighted to hear that you had a great stay and that you are strongly recommend us for other travelers. On behalf of our entire staff, we appreciate your stay and we look forward to seeing you again when your travels bring you back to Jasper City! Kind regards. Thank you for your kind words Fiona_W_24 ! 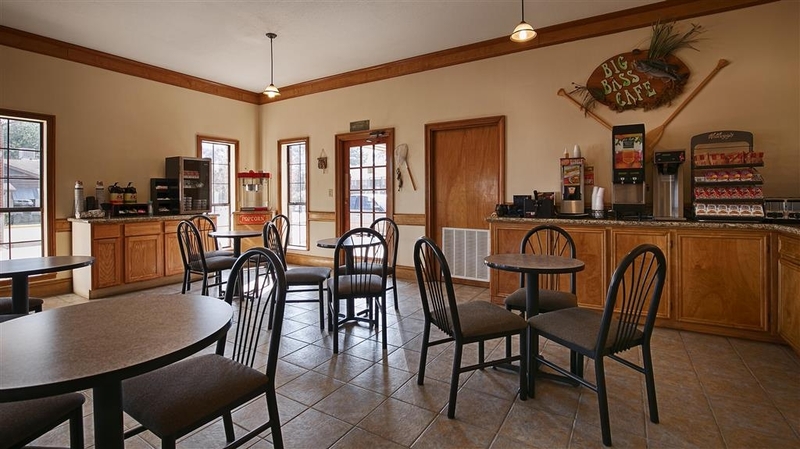 We are happy to hear that you enjoyed our hospitality and breakfast service of Best Western Inn Of Jasper ! On behalf of our entire staff, we thank you for your business and we hope to see you again when your travels bring you back to the area! 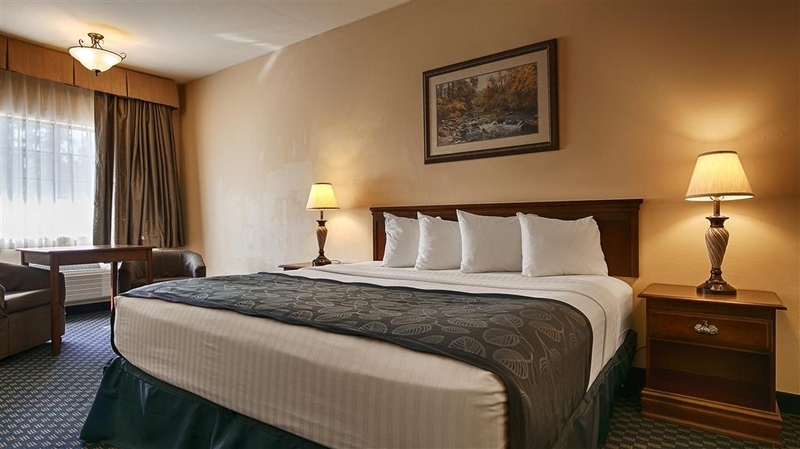 It was pleasent stay at the best western hotel in jasper the front desk agent was quick check in us fast as i had two kids were getting cranky so i wanted to get in to the room so i can change them and take them to the restaurant next door. The beds were comfortable and pillows were super nice. mohit5abi, Thank you so much for your feedback and kind words regarding the five star service and accommodations that you received during your most recent stay of Best Western Inn Of Jasper. Hearing about how our efforts to give you a pleasant and accommodating experience have been successful is very rewarding for every member of our staff and management team.We look forward to serving you again! Was only planning to stay for a night - arrived late and leaving early- parking not friendly for boats. No AC was turned on in the room. There was also black mold on the ceiling in the bathroom- the rest of the room was standard. hcvj822, Thank you for rating your recent experience at our hotel. It is disheartening to learn that the bathroom was not properly cleaned and maintained according to the high standards of our housekeeping and maintenance staff. We are working to take care of all of the issues that you addressed and we thank you for taking the time to share your experience. Aside from all the problems at check-in (and the bugs), the light didnt work on wife's side of the bed. Mom and Dad had a room on the other side (first floor). My dad cleaned the AC filters (stopped up). Mom cleaned the inside. Their floor was so dirty they couldnt wear socks. Seems like a nightmare. Next time we will sleep in our car if no other option. Jack-Ringo, Thank you for pointing out the issues with housekeeping so that we can work to improve upon this aspect of the guest experience at our hotel. It is disheartening to learn that you did not enjoy your stay and that the room was not properly and thoroughly cleaned and maintained according to the high standards of our housekeeping and maintenance staff. I hope that you will consider staying with us again so that we can have another chance to provide you with a superior experience. 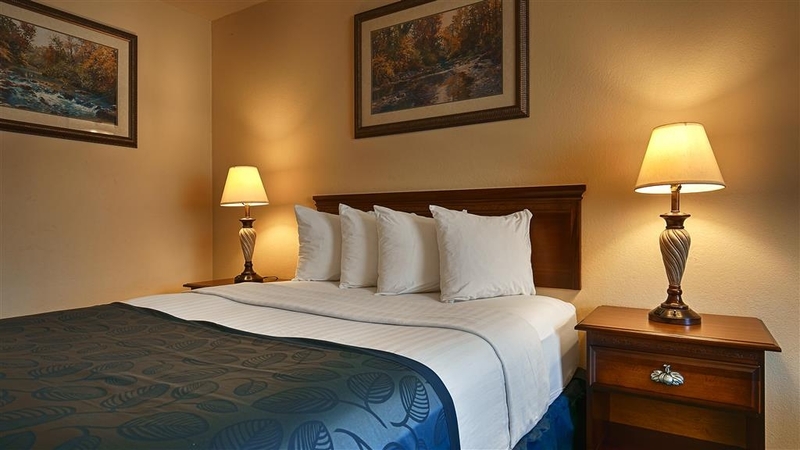 We have stayed here multiple times, as they offer king beds, AND they are pet friendly. The Holiday Inn is much nicer, but they don't allow pets. We have never had an issue with payment, or with anyone disturbing our room, but at the moment, I have to give this motel one star. They have charged me two separate, incorrect amounts for my stay on 6/16, and now no one is answering the phone (I've made multiple attempts to reach them today.) How is the phone just not answered?? Called the corporate office, and they couldn't get anyone on the phone either! On Saturday night, they gave another customer the key to our room, and that person entered the room, in spite of a "Do Not Disturb" sign. And after we checked out, they processed three charges (they refunded one), all in the wrong amount. When I called Sunday evening, I was told I"d have to call back on Monday to reach the manager. (The manager is the one who checked us out, and I have to think she processed the charges.) **Update 6/20** After being assured by both the GM and the manager yesterday that they were taking care of the issues, I logged into my account this morning to find....TWO CHARGES, (not authorizations, actual charges) both for the wrong amount. Processed yesterday. Are you kidding me?!? Normally Best Western suits our needs, but this one came up short in several areas. 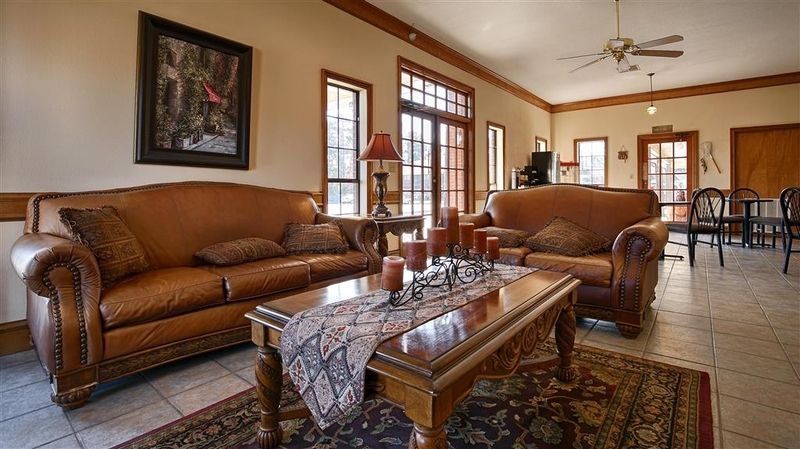 1: Room was hot, owner turns off room ac's to save money, problem is this is East Texas and in June it's hot, if they would just turn the ac to 80 degrees when not occupied it would solve the hot room issue. 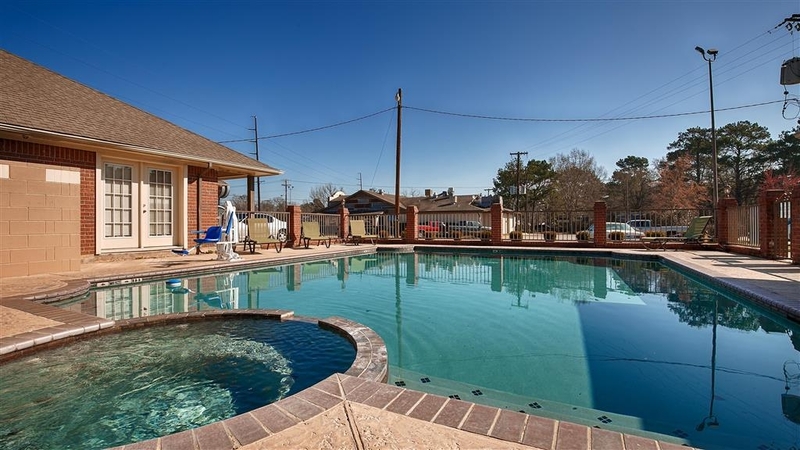 2: would like to have gone to the pool, but it was closed due to chemical treatment, it's June, it's Texas and it's hot guest would like a place to cool off. 3: Breakfast was sparse, over all not that bad, but sparse. With just a little effort could be a nice stop. "You are on your own!" The breakfast was advertised at 0530. The doors were locked and nobody answered the phone. Had to leave at 0630 without checking out because doors were still locked and nobody would answer the phone. Not even a number posted for after hours service. "Hotel quality doesn't match the price charged"
I expected better and was disappointed. The hotel staff are great, and friendly. The hotel has peeling ceilings, loud guest, alarms going off and poor workmanship on build quality of the hotel. We normally stay at a Marriott or Hyatt which neither are available any where near here. I expected better from BW and made the choice to stay here because we had our pet with us. The holiday inn is newer, but no pet options. I sincerely apologize that you stay was not satisfactory. We stayed in Jasper to visit relatives in Warren. Jasper is a sad little town, and the Best Western was pretty sad. It is clean, but poorly maintained and poorly appointed. Cheap soap, cheap shampoo, tiny/thin towels. The breakfast would be marginal if it were stocked/operational, but it was neither. Juice machine was broken, coffee was gone....the one banana was not fit for banana bread. My recommendation? Woodland is 30 (+/-) miles west. 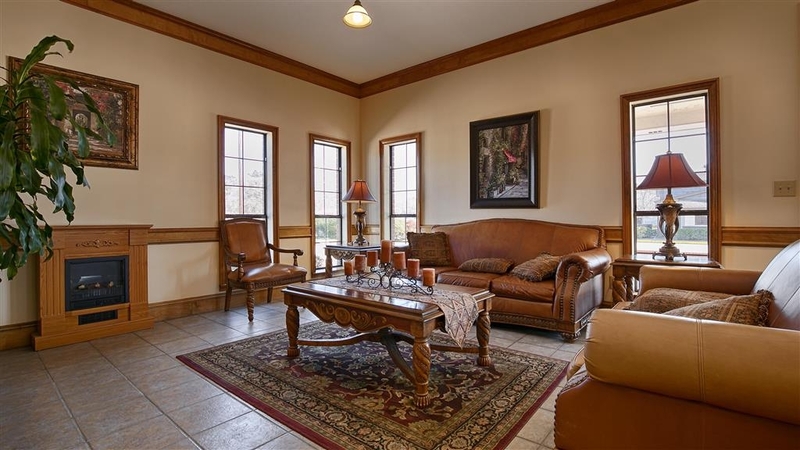 The Stagecoach Inn in Woodland is a vast improvement.....or go on to Livingston. We stayed in this hotel for one night during the week because the A/C in the house we were renting needed a new motor. We weren't looking for anything fancy, just cool so we could sleep. Unlike many newer Best Westerns, this one is not overly fancy. Rooms are accessed from the outside. We had to turn on the A/C when we stepped in, so it was warm inside (annoying since we needed to cool off). Everything was clean and neat in the room. There was a refrigerator for chilling our drinks for the next day. Microwave, flat screen TV, hair dryer, & ironing board. Shower felt so good. Shower/tub was kinda slippery. Our king bed was very comfortable. Pillows were more like square throw pillows, not that comfortable. I still managed to sleep well and tackle the heat of next day. We didn't try the pool or hot tub. Breakfast was good. Omelettes, thin bacon, yogurt, cream cheese & bagels, make-it-yourself waffles, syrup, butter, instant oatmeal, cereal, milk, & coffee. If you want oatmeal, just ask the attendant to microwave it for you. Check-out was 11am, late check-out 12pm. I checked out at 10:30am and had no problems. "Great place to stay with fine restaurant"
We stayed for 2 days during our trip around Canada. The rooms were comfordable and we enjoyed the quality of breakfast and dining in the restaurant. The staff and management is very professional and helpfull. A great place to stay. "Okay just for the night"
The rom was a little warm when I got in and there a/c was so loud when it would run had to use ear plugs just to get some sleep. Also not so sure how safe it is for someone that stays there and purchases a smoker and uses it 10 ft from the building also. "One of restaurants in Jasper"
We were recommended togo to this restaurant as it was rated #1 in Jasper/ Kimball area. Our 2 waitresses were fantastic. The buffet looked very dried and overcooked. We had the steaks which were cooked to perfection but over salted. The clientele appeared to be present for the bottomless buffet. It was good for what one paid. Mc friendly always stay here when around jasper. Very good for the money. Have an event we attend every year. Best value motel in the jasper area. 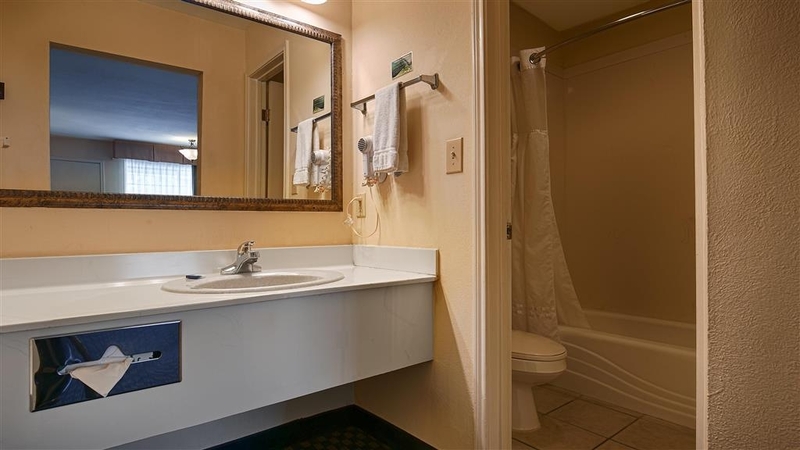 Clean rooms, good bed, breakfast included and a mc washing station. We have visited this hotel over twenty times over the past ten fifteen years. 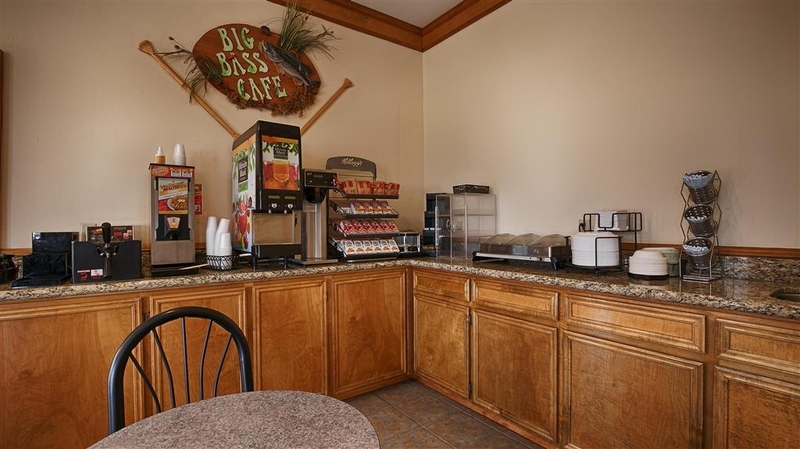 The hotel is very accommodating to tournament fisherman and bikers and maintains a family friendly atmosphere. This is our tournament stay hotel for sam rayburn. On behalf of our staff we want to thank you for your support and business. The brown water coming out of the sink made me so sick that I had to go to the ER. I didn't realize it was so dirty until I filled up the tub and sink... but that was too late. I was sick for days throwing up and had diarrhea ! I asked for the manager every day and every day he was NOT available! Slum lord. I apologize for your unsatisfactory stay and the problems that occurred during your stay. The rooms were clean. The staff was extremely helpful and nice. Every Wednesday they have a dinner waiting for you which helps save money. The breakfast was made early enough that my crew and i had time to grab a quick bite. The employees were great. The breakfast was OK and they even provided a small reception at night with soup, cheese casserole dish and cake for dessert. It was not gourmet but saved $20 from having to go out for an evening meal. Thank you for staying with us we appreciate your business. We look forward to future stays. "Poor Service for Saturday Breakfast"
The service for the Saturday breakfast was terrible. One staff was there to put out breakfast and handle the front desk. There was an hour left for breakfast when I walked in and there were 8 people waiting for depleted breakfast items to be made and put out. There was no coffee made, no bacon, no juice made in the machines, no waffle mix made, & the trash can was overflowing, yet the one staff person was on the phone while we were waiting. The manager that she was speaking with on the phone, did not come out to help. The hotel was full, & management should have know more than one person was needed to the front desk and breakfast on a Saturday morning. When I checked in the young lady was extremely helpful. As we settle in the room we decided to watch T.V. We found out that the cable was out. Since it was a Sunday evening I really did not expect it to be fixed, but reported it anyway. To my shock they were able to have someone repair the problem. The breakfast was very good eggs, bacon, waffles with three choices of toppings as well as syrup, and the add ins for the yogurt. It was one of the best of any palae we have stayed. We appreciate you choosing us for your stay. We value your business and look forward to future stays . 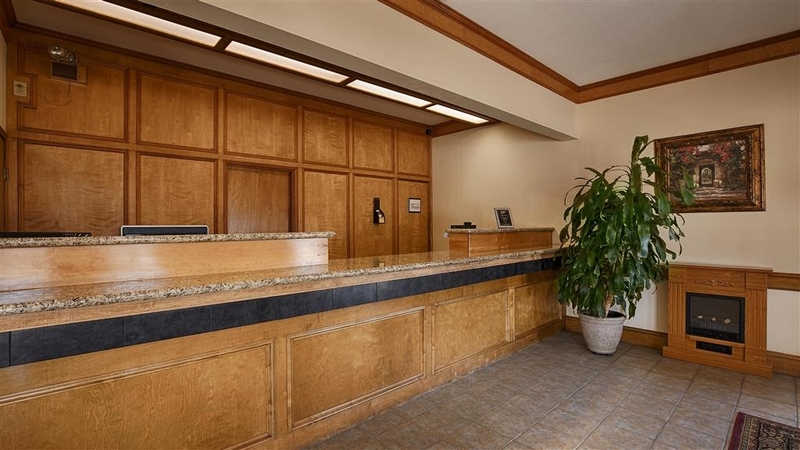 "This hotel and desk staff are the best"
The hotel is clean, quiet, well worth the the cost. Marybeth and Angel where great to deal with and make you feel at home. Did not get to use the pool. Hot tub needs repair. Breakfast needs a change up not bad but the same for 60 days. Very clean and up to date rooms. BW waffle maker is a joke, Texas shape was better. Thank You all for the great stay! Tess keep up the learning of the front desk, Your doing fine! The hotel was well priced. The rooms clean and the air worked well. The lady at the front desk was super nice and helpful. The beds were very soft! We had a smoke detector issue and they were there in three minutes to fix it. They had a new battery in it and it was all better. We stayed here in April with my three kids (under 9). 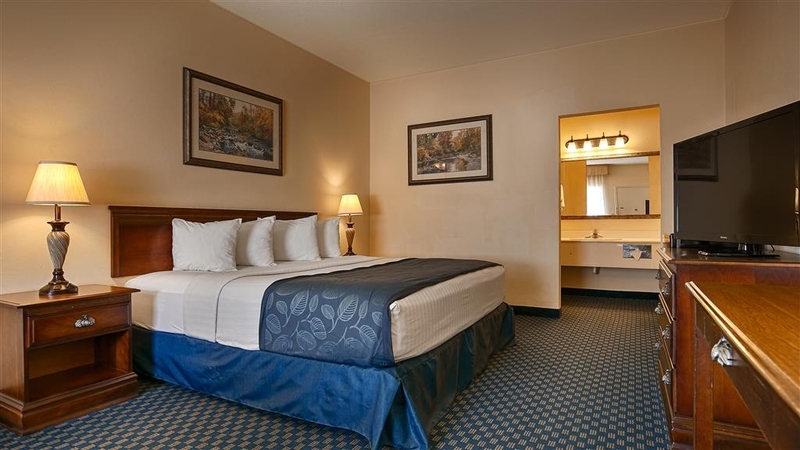 Great hotel, centrally located and has everything you should need. Very friendly staff. The kids loved seeing the elk grazing near the train line. The Inn Grill was lovely also. Would recommend! Service was average. Room cleanliness was okay. Tub was stained. Toilet wasn't flushing. Internet, which I needed for work, was slow and would disconnect every 5 minutes. I booked two weeks, and ended up staying only two nights. You need to up date your carpet, paint, lighting in back, and give $75. rate to bass tournament participants. with 459 plus, you only had two. Offer early breakfast, maybe a pickup to go, at 4:30 or 5:00 AM. tournament directors can tell you what you need. It is not negotiable if you want the business. Thanks. The check in/out sevice worker Jaye made our stay the best out of all. The rooms were good and very comfy. The breakfast was also very good. Im not a fan of Jasper but overall I felt safe at this hotel and I feel is would be a great hotel for families and out of town workers. "Time for an update or better value"
I have stayed at this hotel a couple of times a year when working in the area. So for 10 years I have watched this hotel just kinda remain here. It is still clean, easy location, decent breakfast, nice staff, but NOT worth 90something bucks. For 10 more bucks I went to Holiday inn express up the road and got bigger much better room with a GREAT BED AND PILLOWS. i consider myself a BW guy and have around 200K points but i call it as I see it. This should be a 69,99 a night room MAX. I most likely will not be back here in the future since I can get much better breakfast and room up the road for same price. Sorry old friend but it is time to update. I was charged "no show" because of a reservation dates mix up. I am a "diamond member with over 60 nights/year with Best Western and they were not able/will to fix the problem. I will be changing my hotels. I would recommend this hotel to anyone. 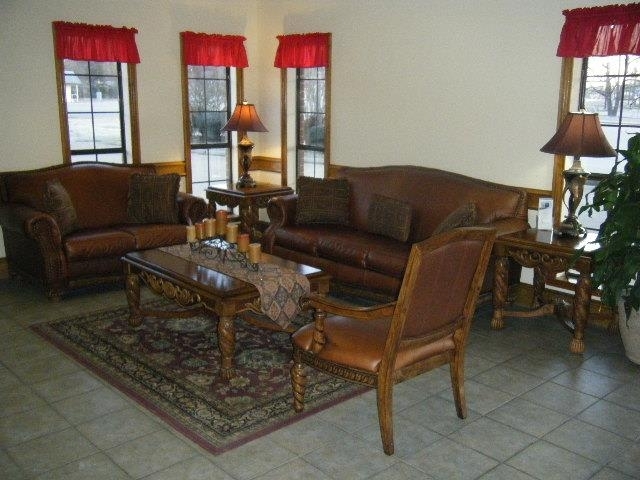 It is in an excellent location with hospitable personnel. I don't have anything else to say, except be careful when getting into the shower, as it is slippery. It looks to have the non-skid strips, but it must be worn off. Pleasant hotel. Great staff. East Texas charm and hospitality. Good breakfast. has the feel of a little community. Has a good restaurant on the same corner. 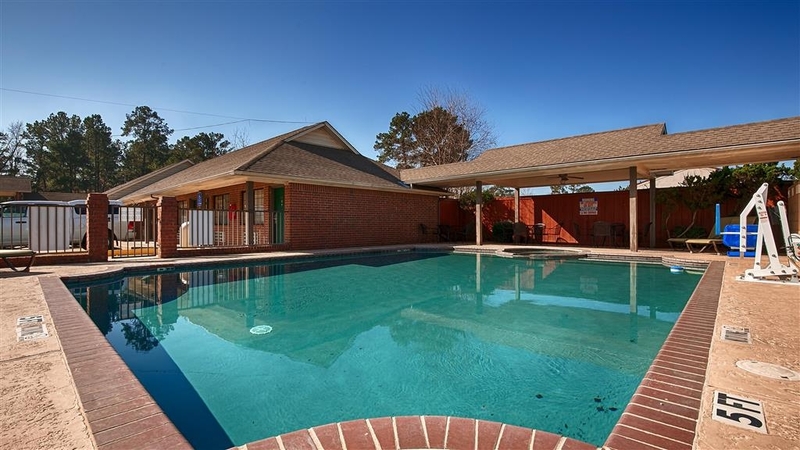 Close to East Texas area Lakes and beautiful pine forest. Would be a good place for a family vacation. "Not worth the price. Upkeep was questionable." Not a $100/night hotel for this location. Very average room at best with maintenance issues. Shower head not functioning properly and drain left me ankle deep in water after shower. Bathroom overall was the weakest link. Nice Hotel. rooms are starting to show their age, but otherwise this is a very nice hotel. They always seem to have a hot breakfast, also both regular and decaf coffee. I have stayed in this hotel off and on for over ten years, It is still the "best" deal in Jasper. We needed a room for one night as we passed through Jasper. The Best Western was right on the highway and had a friendly staff, clean and comfortable room. We would stay at this hotel again and will definitely consider Best Western in the future. "Stop over in Jasper TX"
We decided to spend the night in Jasper, TX before heading home and had reserved a room at Best Western. The location was central, easy to find. The room clean and neat; The free WiFi worked without incidence, The only con would be that the room was booked for two people but there were only two regular single-use packs of regular coffee (there were also only two decaf - but we don't drink decaf) and no tea offered.